Check out the interview between Chairman/CEO of iTunes Exposure James K. Moore and RivaSoul a chart-topping artists. JAMES: Thanks for taking the time to sit down with me and conduct this interview. JAMES: Ok, let’s get started. When and why did you start music/entertaining? RIVASOUL: Way back when I was a little child I was heavily influenced by my siblings and family. My brother and sisters would have set days when they each got to share the Hi Fi and so as a little youth I was blessed to listen to my brother’s music that consisted of Jazz, Hip Hop, Mo Town, Swing, Soul and everything in between! My eldest sister at that time was all about 80s pop and so George Michael and Wham were a strong favorite in her collection. My youngest sister would listen to Indian music and that also played heavily in my style of music. My brother and cousins along with my uncles were in an Indian band with each playing an instrument so you can say music is in the heart of our DNA and that I was born to entertain. I was the fortunate one because I grew up with so many different genres. JAMES: Nice. So how would you define your style? JAMES: Tell me more about your family and music? JAMES: Describe your family member’s musical interests and abilities. JAMES: Which famous artists do you admire? Why? RIVASOUL: My greatest influence is the late great Tupac Shakur, he was my role model and source of inspiration growing up and still is. Tupac was a man of the world, he understood the struggles that children, youths, and adults go through. He had an ability to speak from an individual’s perspective no matter the age color or creed. He also taught me to always stay strong and to keep making moves no matter how big or small and that its ok ti make mistakes as long as you learn and move on. My music has a strong Tupac influence if you listen close. JAMES: Which famous artists have you learned from? JAMES: Ok. So tell me have you been in competitions? Won any prizes? RIVASOUL: Yes, my break through single was nominated as the best single and was hand-picked from thousands of demos. It was voted by the people in a 2 way stand off as the best track. That was the moment that I realized that I was born to do this. JAMES: Do you perform in public? Describe those occasions? Concerts, radio, TV? RIVASOUL: Up until now I have performed at festivals and at a national kick boxing event in the UK. That was picked up by ITV and was good experience for me. JAMES: What advice would you give to beginners who are new to the industry? RIVASOUL: Work hard, work hard, and work hard. JAMES: Where do you see the music industry in the next 5 years? RIVASOUL: I see it as one great big digital network and for one to be successful he/she must understand how that network works. JAMES: What wouldn’t you do? RIVASOUL: Go against my musical principles. JAMES: Professionally what’s your goal? RIVASOUL: To be recognized as one of the best UK Brit Asian Rappers to ever do it. JAMES: What’s your artistic outlook on life? RIVASOUL: To be true. Unique and passionate. JAMES: Describe a real-life situation that inspired you? RIVASOUL: Every breath that I speak through my music is based on real life experiences and my latest single Outlaw is the greatest testimony of who I am and how I operate. JAMES: What obstacles or hurdles did you have to overcome to make it to where you are today? RIVASOUL: I quickly realized that in the ever-changing face of the world, I had to deepen my pockets to be able to make moves. The same people that ignored me for not having enough are the same people that now give me props. Music is a business and you need to treat it like one. You need a plan, a theory and an end goal. Having talent alone is not enough in this game. JAMES: It’s been a pleasure talking to you and getting to know more about you. I’m definitely a fan of your music and look forward to hearing about your next project. RIVASOUL: It was a pleasure to sit down and talk to you. 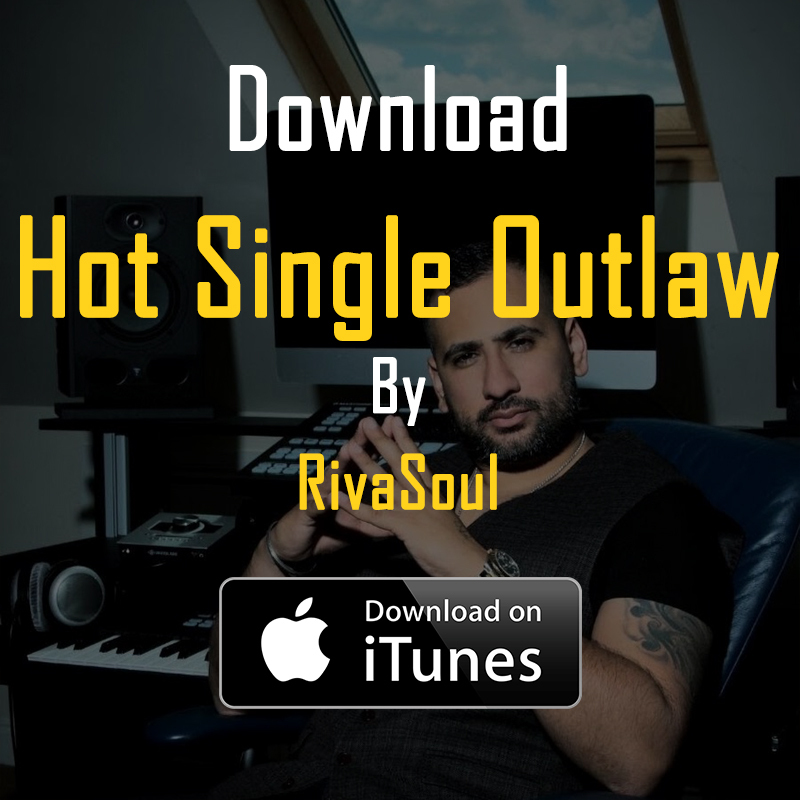 Make sure you check out RivaSoul and his new single Outlaw on iTunes today!